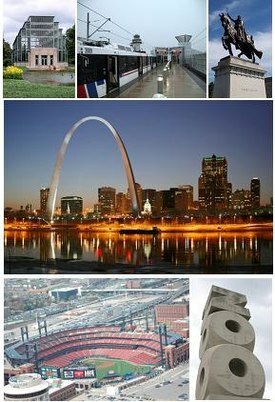 ^ 1.0 1.1 St. Louis United States – Visiting the Gateway to the West. Globosapiens.net. [March 14, 2011]. ^ St. Louis Public Library on "Mound City" 互联网档案馆的存檔，存档日期October 1, 2008，..
^ Rome of the West. Stltoday.com. [August 10, 2017]. 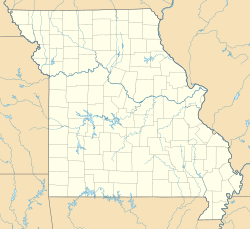 ^ St. Louis City, Missouri – Population Finder – American FactFinder. United States Geological Survey. October 24, 1980 [December 23, 2008]. ^ Elevations and Distances in the United States. U.S. Geological Survey. U.S. Department of the Interior — U.S. Geological Survey. April 29, 2005 [October 17, 2016]. ^ Zip Code Lookup. USPS. [November 27, 2014]. （原始内容存档于January 1, 2008）. ^ 8.0 8.1 8.2 8.3 8.4 8.5 8.6 NowData - NOAA Online Weather Data. National Oceanic and Atmospheric Administration. [2013-10-13]. ^ Station Name: MO ST LOUIS LAMBERT INTL AP. National Oceanic and Atmospheric Administration. [2013-03-22]. ^ WMO Climate Normals for ST. LOUIS/LAMBERT, MO 1961–1990. National Oceanic and Atmospheric Administration. [2014-03-11]. ^ U.S. Decennial Census. United States Census Bureau. [November 20, 2014]. ^ Historical Census Browser. University of Virginia Library. [November 20, 2014]. ^ Population of Counties by Decennial Census: 1900 to 1990. United States Census Bureau. [November 20, 2014]. ^ Census 2000 PHC-T-4. Ranking Tables for Counties: 1990 and 2000 (PDF). United States Census Bureau. [November 20, 2014]. ^ Current Year Comprehensive Annual Financial Report (CAFR). City of St. Louis (Comptroller's Office). January 10, 2014 [January 23, 2014]. 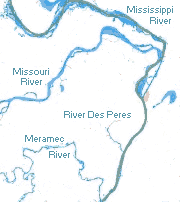 ^ City of St. Louis CAFR (FY June 30, 2013) (PDF). City of St. Louis: 201. December 27, 2013 [January 23, 2014].